HomeBlogHome HealthcareAccredited Hospices of America will help You and your loved one prepare for death. Accredited Hospices of America will help You and your loved one prepare for death. The patient in the final stages of terminal illness will exhibit many outward physical signs that may indicate he or she is near death. These signs are normal and do not need to be discouraged or restrained by the dying patient’s loved ones. The information below will help you identify the typical signs and hep you understand what is going on with your loved one. When a patient enters the final stage of the dying process, the physical and the mental planes are sometimes working together to help the body prepare for death. On the physical plane, the body begins the final process of shutting down until all physical systems cease to function. Usually, this progressive series of physical changes is orderly, undramatic, and does not constitute a medical emergency that requires invasive intervention. These physical changes are the normal, natural way the body prepares itself to stop functioning. When these changes begin to occur, Accredited Hospices of America provides comfort-enhancing measures to ensure that your dying lived one experiences this process free of pain and in as peaceful a way as possible. The other part of the dying process involves emotional, spiritual and mental planes, sometimes known as the “spirit” of the dying person trying to release from the body, from its immediate environment, and from all attachments. This release has its own priorities and may include the resolution of any unfinished business of a practical nature, such as the reconciliation of close relationships and sometimes the need to receive permission from family members to “let go” of the physical world. These events are normal and provide a natural way for the spirit to move from one realm of existence to the next. When these emotional, spiritual and mental changes begin to occur, Accredited Hospices of America offers support to encourage this release and translation. 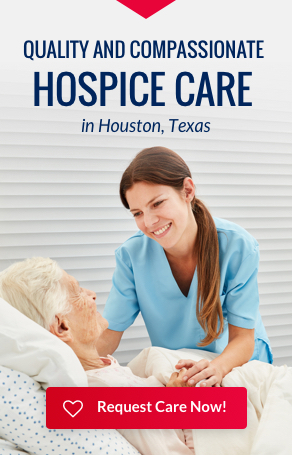 In addition to the nurse, the hospital social worker and hospice chaplain are able to provide guidance and support for the patient, family and caregivers as they experience this phase of the dying process. When a patient’s body is ready and wants to stop, but the patient still has some unresolved issues or unreconciled relationships,the bod will ten to linger in order to allow the patient to finish whatever needs finishing, even though he or she may be very uncomfortable and debilitated. Alternately, sometimes a patient is emotionally, spiritually and mentally resolved and ready for release, but his or her body has not completed its final physical process. In case, the patient may not seem mentally active,but the body will continue to live physical shut down is completed. The experience we call death occurs when the body completes its natural process of shutting down and the “spirit” completes its natural process of reconciling and finishing. These two processes need to happen in a way appropriate for the values, beliefs and lifestyle of the dying patient so that death can occur as a peaceful release. As a patient prepares for this event, it is important to know what to expect and how to respond in ways that will help them accomplish this transition with support, understanding and ease. During this time, many people gain an inner strength that helps both themselves and their loved ones. This strength often manifests as a deep awareness or peace. Throughout the dying process, there will be many opportunities to share thoughts and memories in both spoken and unspoken ways. Silence is one of the unspoken ways of sharing and often fosters a strong time together, both in times of conversation and times of silence. The following physical, emotional, spiritual, and mental signs and symptoms of impending death will help you understand the natural progression of dying and give you examples of ways family members can respond to these signs in order to support their dying loved one. Not all of these signs or symptoms will occur with every person, nor will they occur in a particular sequence. Each person is unique, and there is no right or wrong way for patients to act. It is the time to give full acceptance, support, and comfort to them. Fluid and Food Decrease – The patient may begin to want little or no food or fluids, which is a normal sign of the body’s conserving the energy that would be expanded in processing food and fluids for other functions. Try not to force food or drink into the patient, or use guilt to manipulate him or her into eating or drinking something. This will only make your loved one much more uncomfortable. Small chips of ice, frozen Gatorade, or juice may be refreshing in the patient’s mouth. Glycerin swabs may help keep the mouth and lips moist and comfortable. A cool moist washcloth on the forehead may also increase physical comfort. Urine Decrease – The patient’s urine output will normally lessen due to decreased fluid intake, as well as decreased circulation through the kidneys. Consult your hospice nurse to determine whether there may be a need to insert or irrigate a catheter. Incontinence – The patient may loose control of urine or bowel matter as the muscles in that area begin to relax. Discuss with your hospice nurse what can be done to protect the bed and how to keep the patient clean and comfortable. Sleepiness – The patient may spend increased amounts of time sleeping and may appear to be uncommunicative and unresponsive. This normal change is due, in part, to changes in the metabolism of the body. Sit down with your loved one and hold his or her hand. Do not shake him or her or speak loudly – speak softly and with a natural voice. Restlessness – The patient may make restless and repetitive motions. This often happens due to the decrease in oxygen circulation to the brain and to metabolism changes. Do not interfere with,or try to restrain such motions. To produce a calming effect, speak in a quiet, natural way and lightly massage the forehead, read aloud to your loved one, or play soothing music. Disorientation – The patient may seem to be confused abut the time, place, and identity of people surrounding him or her. This is also a normal reaction to metabolic changes. Identify yourself by name before you speak. Do not ask your loved one to guess your identity. Speak softly, clearly and truthfully when you need to communicate something important for the patient’s comfort. Suspicion – The patient may become suspicious and not want to take medicine, may spit medication out, or attempt to hit or kick. Do NOT attempt to forcibly restrain him or her, but instead speak i a calm, quiet voice and contact your nurse for further instructions. Fever – The patient may have an elevated temperature. This is usually not due to infection, but to changes in metabolism. Your hospice nurse will instruct you in how to give cooling sponge baths and how to administer medication to reduce fever. Congestion – The patient may have sounds coming from his or her chest as though marbles were rolling around inside. This normal change is due to the decrease of fluid intake and an inability to cough up normal secretions. Usually, suctioning only increases the secretions and causes sharp discomfort. Gently turn the patient’s head to the side and allow gravity to drain the secretions. You may also gently wipe the mouth with a moist cloth. The sound of congestion does not indicate the onset of severe or new pain. Coolness – The patient’s hands,arms, feet, and then legs may become increasingly cool to the touch, and the color of the skin may change. This is a normal indication that the circulation of the blood is decreasing to the body’s extremities and is being reserved for the most vital organs. Keep your loved one warm with a blanket, but do not use an electric blanket. Breathing Pattern Change – The patient’s regular, characteristic breathing pattern may change with the onset of interrupted breathing. This is called the “cheyne-stokes” symptom and is very common. It indicates a decrease in the circulation in the internal organs. Elevating the head may help bring comfort. Hold your loved one’s hand and speak gently to him or her. Vision-like Experiences – The patient may speak or claim to have spoken to people who have already died,or he or she may see places not presently visible to yo. This does not indicate a hallucination or drug reaction. The person is beginning to detach from this life and is being prepared for the transition,so it will not be frightening. You should accept what he or she claims to see or hear. Just because you may not see or hear the same thing your loved one does, it is no less real for them. Affirm his or her experiences, they are normal and common during this process. If these visions frighten the patient, explain to them that they are normal. Restlessness – Sometimes restlessness may be an indication of something that is still unresolved or unfinished for your loved one and is preventing him or her from letting go. Accredited Hospice team members can assist you in identifying what may be happening and will find ways to help the patient find release from tension or fear. Some ways you can help calm your loved include: recalling a favorite place or a favorite experience, reading something comforting, playing music and giving assurance that is all right to go. You may also help by giving your loved one permission to let go whenever he or she is ready. At the same time, affirm your loved one’s ongoing value to you and the good that you received from him or her that will carry forward in your life. Decreased Socialization – The patient may want to be with only a few, perhaps just one person. This is a sign of preparation for release. If you are not part of this “inner circle” at the end, it does not mean you are not loved or that or are unimportant. It means you have already fulfilled your task with your loved one. If you are part of the final “inner circle” of support, your loved one may need your additional affirmation, support and permission to “let go”. Unusual Communication – The patient may make a seemingly “out of character” statement, gesture or request. This indicates that he or she is ready to say goodbye and is testing to see if loved ones are ready, as well as to let him or her go. Try to accept this moment when it is offered as a beautiful gift. Kiss and hug your loved one and say whatever you most need to say to him or her. Giving Permission – Try to give permission to let go without making him or her feel guilty for leaving. You should not try to keep him or her with you to meet your own needs. Even though it brings prolonged discomfort, a dying person will normally try to hold on in order to be sure that those who are going to be left behind will be all right. Therefore, releasing the dying patient from this concern and giving him or her the assurance that it is all right to let go whenever he or she is ready is one of the greatest gifts that you can give your loved one. Saying Goodbye – When the patient is ready to die and the family is able to let go, it is time to say “goodbye” to your loved one. Saying goodbye is the final gift of love you can give your loved one, for it achieves closure and makes the final release possible. It may be helpful to lie in bed with your loved one and hold him or her, or take his or her hand and say everything you need to say, so that afterwards you never have to ask yourself, “Why didn’t I say this or that.” It may be as simple as saying “I love you,” or “thank you for,” or it may include saying, “I’m sorry for whatever tension or difficulties I contributed to our relationship.” Whatever words or actions you use to say goodbye to your loved one, make sure that you and other family members have the opportunity to say goodbye if desired, so that both you and your dying lived one can take comfort in the final release. Inform your hospice team, the family and any other caregivers of the patient’s wishes. If advance directives are available, please provide a copy to your hospice RN or MSW so they may put specific instructions into the patient’s records. Discuss funeral plans and final arrangements with the patients as soon as possible. It is important to choose a funeral home or cremation society prior to a patient’s death. Upon making your decision, notify the funeral home or cremation society that the patient is currently in a hospice program. Immediately notify Accredited Hospices of America at the time of death, as well as contact the funeral home or cremation society. The funeral home or cremation society will send the death certificate to the patient’s doctor to be signed. The doctor does not have to be present at the time of death. Rather, your hospice RN will contact the doctor directly to notify him or her of the patient’s death.